SOLMED Alliance EHS&Q department ensures that all their employees, customer and visitors are fully safeguarded in respect of health, safety and welfare whilst at work. We believe that everyone has a duty to take care for the environment and to seek ways to conserve natural resources, so that our aim is to be conscious of all environmental issues. 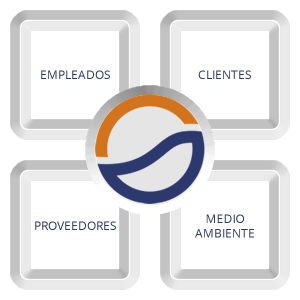 SOLMED Alliance is leader within Environmental, Health and Safety area. It is always implementing the latest trainings and courses to coach our team. The EHS&Q Center works continuously reviewing and improving internal training courses, together with challenge exams, as well as training our staff, doing toolbox talks, daily safety meetings, going over real case studies. ISO 14001:2015 Integrated Quality and Environmental Management Systems (Environmental, Health and Safety). ISO 22000:2005 Food Safety Management System Standard. ISO/TS 29001:2010 Quality Management System for Product and Service Supply Organizations for the Petroleum, Petrochemical and Natural Gas Industries. Our goal is to continue preserving a healthful and safety environment in every operation we manage; with the support of our logistical infrastructure and our valuable team. Employees. Experienced and qualified professionals ensure the perfect development of our services. Clients. We offer them quality and safety services without risk. Suppliers. Top quality products to accomplish international standards for health and safety following all the process to ensure these are in perfect conditions. Environment. We conserve natural resources as we develop our work.